Every once in awhile, I like to throw in a super simple recipe for you and this one fits the bill! 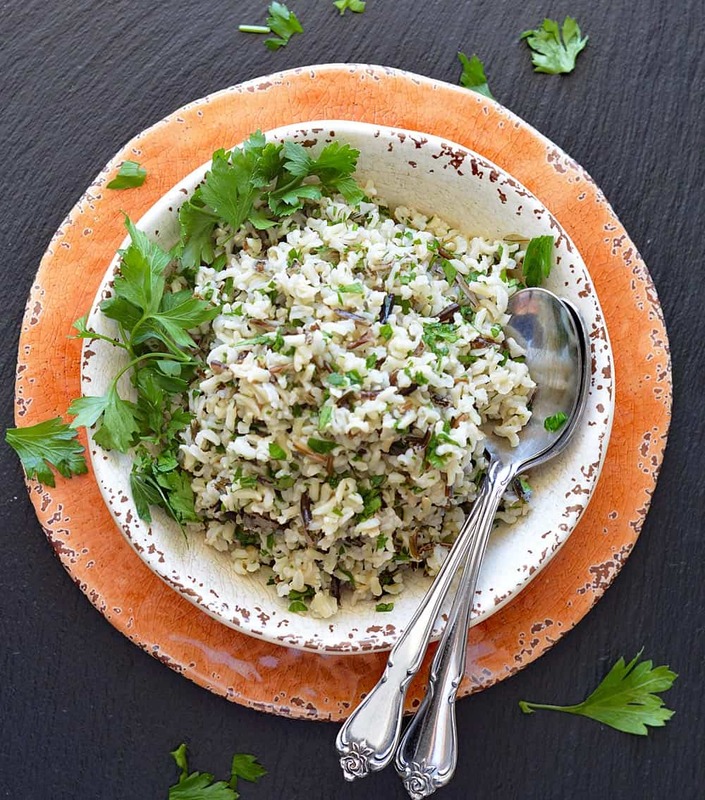 This Herbed Wild Rice Pilaf is the next addition to my 2017 Thanksgiving line up! 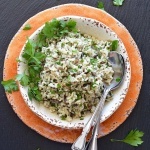 It is perfect for a holiday side dish or for any night of the week really. It takes about 30 minutes to throw together. I begin my sauteeing finely chopped onion and garlic in vegan margarine. Increase the heat to medium-high and add the rices. Cook for 1 minute and then add the thyme, stock, salt, pepper and bay leaves. Bring to a boil then reduce heat to low, cover and simmer for 1 hour or until the rice is tender. Do not stir. *NOTE: I purchased a wild and long grain rice mix and cooked according to package instructions. If you can’t find the mix, just purchase the two rices individually. Remove the pan from the heat and let stand for 10 minutes covered. Remove the bay leaf and discard. 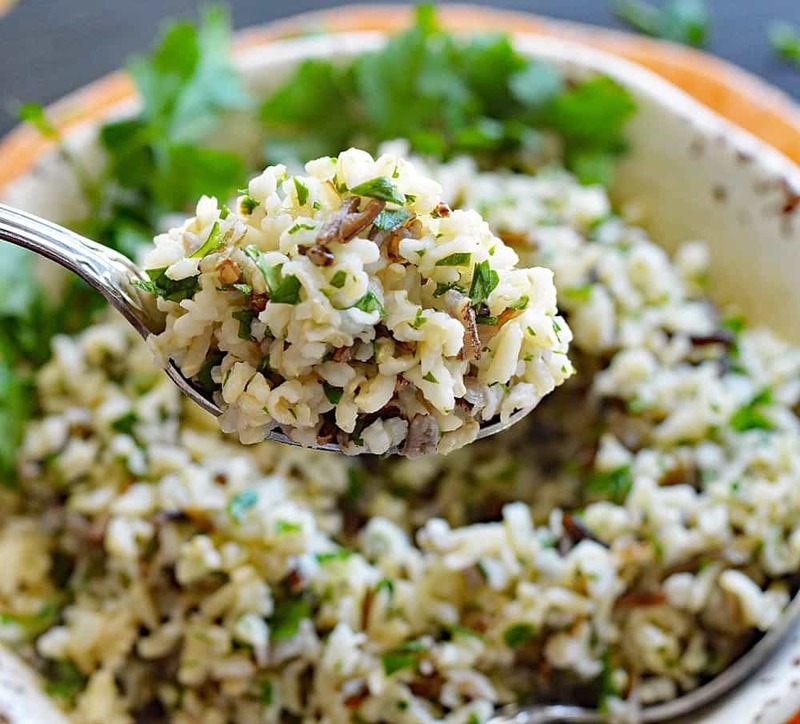 Fluff the rice with a fork and stir in the fresh parsley. 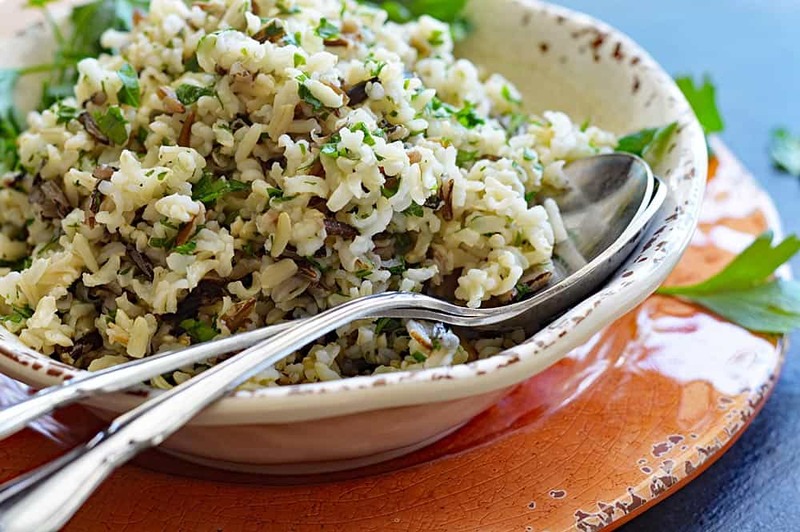 Did you make this recipe for Herbed Wild Rice Pilaf? Leave me a comment below and let me know what you thought! Melt butter in a large stock pot over medium-low heat. Add onion; cook until translucent 8-10 minutes. Add garlic; cook 1-2 minutes, stirring occasionally so as not to burn. Increase heat to medium-high. Add both rices and thyme; cook 1 minute, stirring frequently. Stir in vegetable broth, salt, pepper, and bay leaf; bring to a boil. Reduce heat to low, cover, and simmer 1 hour or until rice is tender (do not stir). Remove pan from heat; let stand 10 minutes. Remove bay leaf; discard. Fluff rice mixture with a fork. Gently stir in parsley.